Moscow (AFP) - Russian President Vladimir Putin on Monday revealed he has kept his USSR Communist Party membership card, and still has a soft spot for socialist ideals. "I didn't throw out my party card, I didn't burn it," said Putin, a former KGB agent in East Germany, at a meeting with supporters, quoted by Interfax news agency. "My card is lying round somewhere." To older Russians, holding onto a Soviet Communist party card -- once compulsory for top officials -- shows a degree of nostalgia for the previous regime. "I wasn't a party member through necessity. I can't say I was totally an ideological Communist but I did really treasure it (the card)," said Putin, pointing out that he served for nearly 20 years in the "armed wing of the party". Putin -- who has revived some Soviet traditions and state controls over his years ruling Russia -- said that he still "really likes" the ideals of communism, even if they were not implemented properly by Soviet leaders. "I still really like the communist and socialist ideas," he said, calling these "very like the Bible." "They are good ideas -- equality, brotherhood, happiness, but the practical embodiment of these great ideas in our country was far from what the Socialist Utopians came up with." He criticised the regime of communist revolutionary Vladimir Lenin for murdering the ex-tsar Nicholas II and his family, servants and doctors in 1918 in "mass repressions." Putin also criticised Lenin for backing killings of members of the bourgeoisie and priests. The Russian leader gave a vague answer to a question on the possible burial of Lenin, still lying in the Red Square mausoleum -- a step that would outrage many communists. "As for burial and other questions like this, you know, I think that we need to approach this cautiously, to avoid steps that would divide our society," said Putin. "On the contrary, we need to bring it closer together." It was the second time Putin -- whose rule has seen an elite around him amass vast fortunes -- has mentioned Lenin in a week. Last week he suggested Lenin's ideology was like an "atom bomb" that eventually led to the fall of the Soviet Union, explaining this was because Lenin allowed the republics the right to leave the USSR. 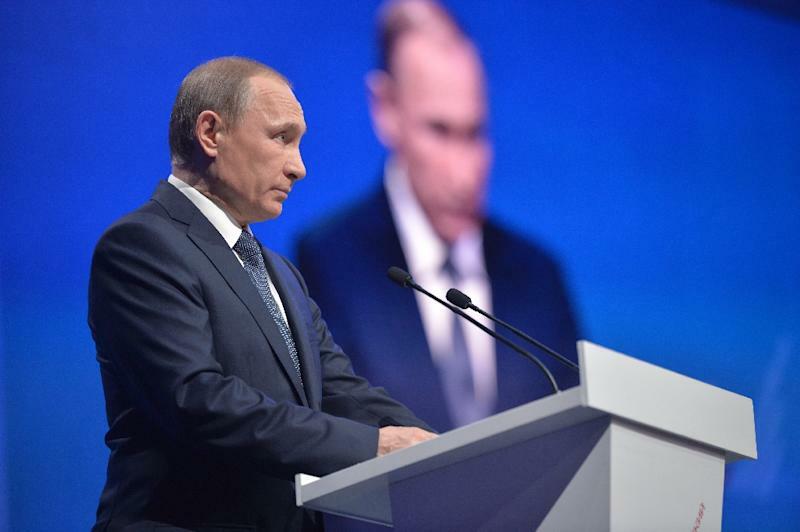 Putin has called the collapse of the Soviet Union in 1991 a "tragedy." A 2012 poll by independent polling centre Levada found that 25 percent thought Lenin's body should stay in the mausoleum, while 53 percent thought he should be buried. Another poll by Levada in 2015 found only five percent thought Lenin's ideas would influence people in the future.